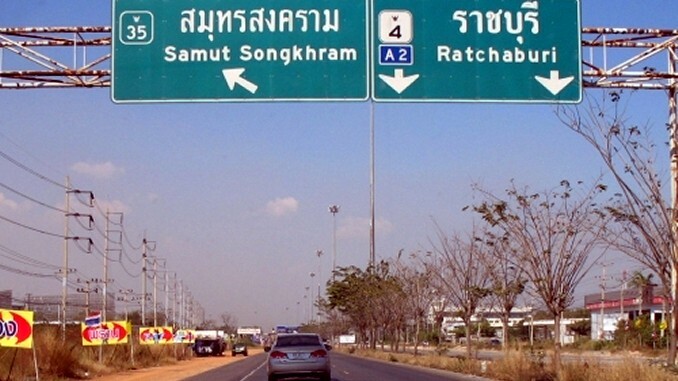 Leave Cha-Am by following the road #4 (Phetkasem) back to the North. 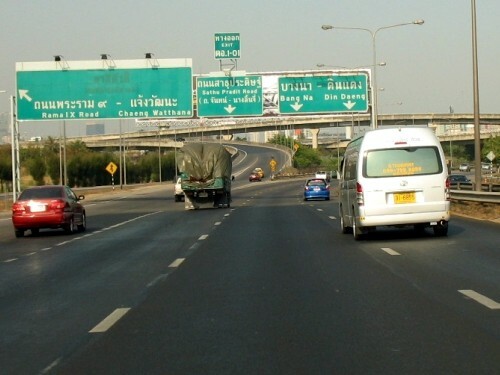 Pass through Phetchaburi and keep on following the signs to Bangkok. 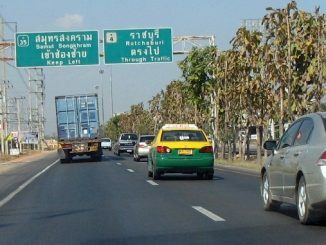 You will then have to exit on your left to road #35 (Rama II road) in the direction of Samut Songkhram, Samut Sakhon and Bangkok. 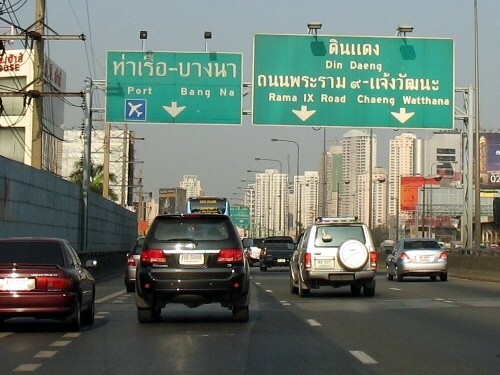 Follow Rama II in the direction of Samut Sakhon and Dao Khanong. 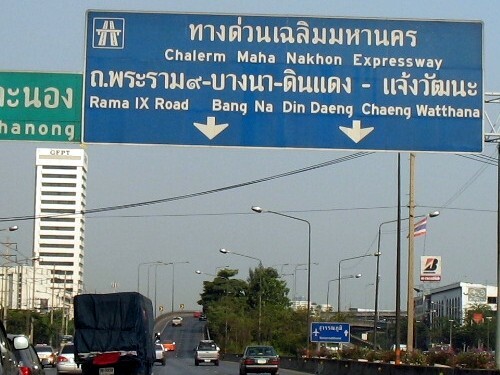 When you see the blue sign indicating the expressway, stay on the right (don’t exit to Dao Khanong on the left) and go on the flyover that leads to the tollway. 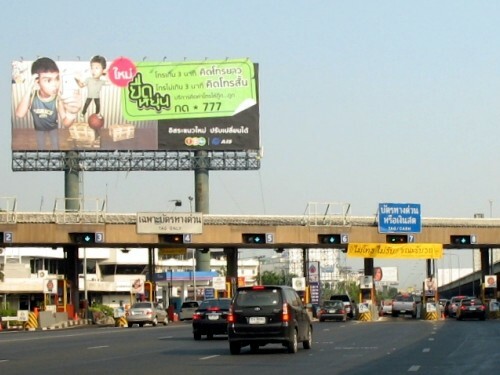 Follow the expressway and pass Rama IX bridge. 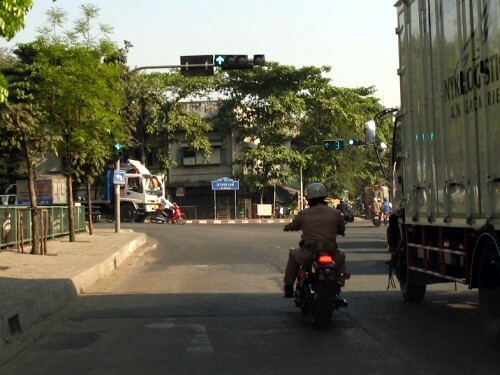 There are of course different ways to enter Bangkok, depending on where you live. 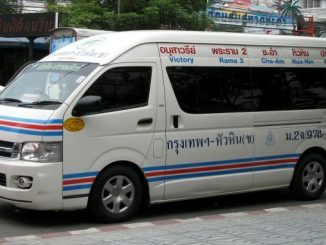 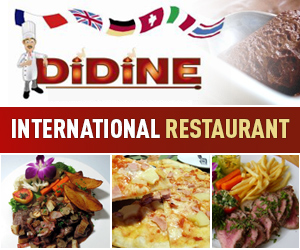 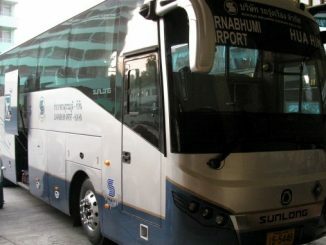 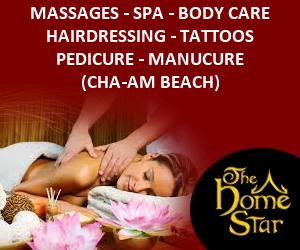 We will take you to Rama IV and Sukhumvit. 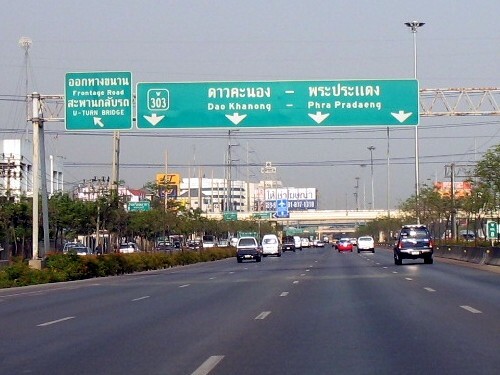 In any case we recommend that you avoid Asoke and the road passing by the Queen Sirikit Cultural Center (unless you plan to turn left at Asoke), as you can easily lose one hour stuck in the traffic there. 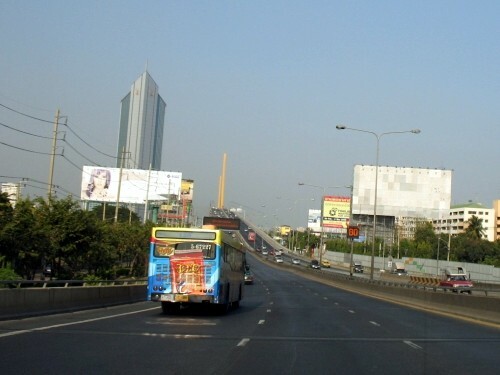 At the end of Rama IX bridge, follow the road that turns slightly to the right, in the direction of Bang Na and Din Daeng. 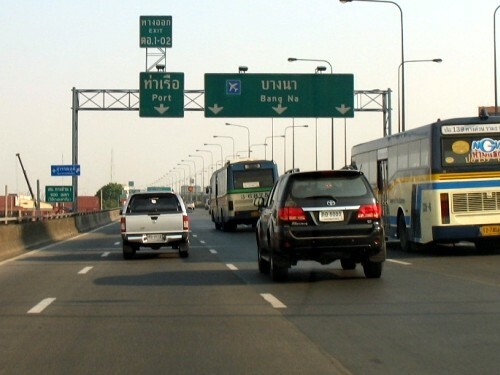 Follow the expressway for about 5 kilometers then exit to Port – Bang Na. 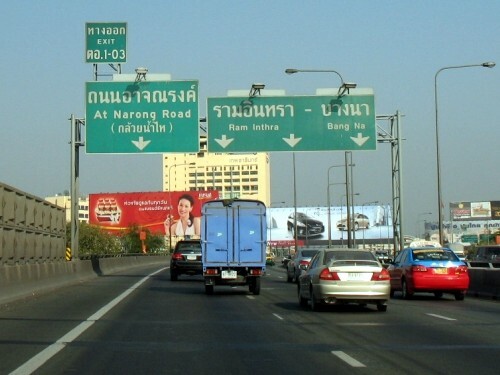 Then, depending on where you live, you can choose to exit to Port, which will take you to Rama IV (just near Carrefour), or you can choose the next exit to At Narong, which will take you to Sukhumvit (Ekamai BTS station). 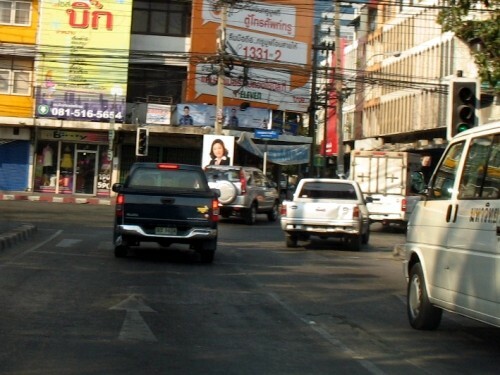 After exiting to At Narong, turn left at the traffic light and go straight. 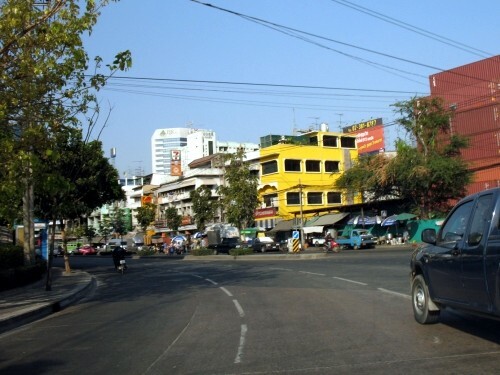 Follow the road that turns slightly to the left. 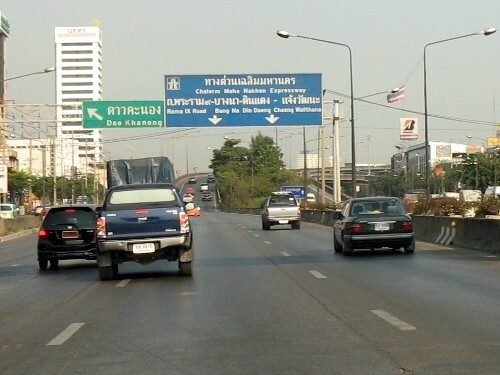 Stay in the middle lane and go straight to enter Sukhumvit soi 42. 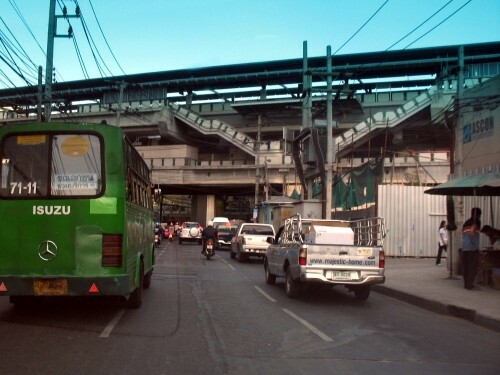 Follow the soi 42 and you find Ekamai BTS station.